It’s been now close to 5 years since the controversial $75K freight broker bond increase was enacted. For those of you who may have missed it, the increase spurred a big debate, as the previous amount of $10,000 had been unchanged since the 1970s. Many small and independent freight brokers feared they may not be able to comply with the new requirement and would be forced to shut down. Fortunately, most of these fears didn’t materialize and now it’s time for yet another renewal. Read on to understand when your freight broker bond renewal is due, what costs you can expect and how to choose the right bonding agency. Read on for full information on the renewal or watch our video which outlines the most important steps of the process. Your renewal deadline will depend on when you first issued your freight broker bond. Freight broker bonds are valid for one year since the date they were issued. In 2013 the FMCSA that all freight broker bonds expire on Oct. 1 and be renewed with the increased $75K amount. This means that if you were in business back then and you renewed your bond on time, your deadline is Oct. 1, 2018. Note, though, that because of the public outcry about the decision back in 2013, the FMCSA extended the compliance period to Nov. 1 and started suspending licenses for brokers who hadn’t gotten a bond by Dec. 1. Thus, if you made use of the grace period, your deadline might also be during these two months this year. If you got licensed as a broker only after the increase or are planning on becoming a freight broker, this means that your deadline is exactly 1 year after the date listed on your bond. Remember that it’s not a good idea to operate without a valid freight broker bond even for a day, as this can lead to your license suspension and even refusal on part of shippers and carriers to work with you. The FMCSA has made it easy for them to quickly check if you are licensed and bonded. We typically recommend starting the renewal process early as processing times are longer when a lot of brokers are applying for their surety bond at the same time. Renew your freight broker bond today! Why us? Should you expect your renewal to be the same price as last year’s? Not necessarily. Bonding companies will look into a variety of factors when they give you a renewal quote and these factors are subject to change. The most important determinants of your freight broker bond cost are you personal credit score as well as your business experience. Financial strength can also be considered. Changes in any of these factors can affect your premium, negatively and positively alike. Last, but not least, the surety bonds agency you work with can also have a great impact on your renewal quote. Use the calculator below to get a quick estimate of your renewal rate based on your credit score. Surety bonds companies underwriting bonds don’t work directly with the public, so for you surety bond renewal you need to pick a surety bonds agency. This choice is not something to go idly about, as the right surety bonds agency will get you the lowest possible quote. If you have credit issues, the choice between one surety agency and another might be the difference between getting bonded or being refused a license. So what to look for in an agency? As a rule of thumb, good surety bonds agencies work only with A-rated and T-listed bonding companies, which ensures your freight broker bond will always be accepted. It’s also important that your agency works with a variety of bonding companies. By choosing Bryant Surety Bonds you get all this, so you don’t have to worry. The whole application process can be done online and your bond will be filed to the FMCSA electronically. 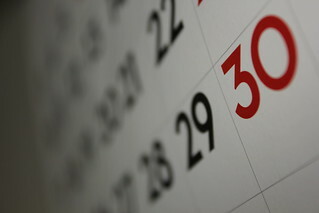 Also, we make sure to send renewal reminders to all of our clients, so you don’t worry about consecutive renewals. A final, but important remark: surety bonds are not the same as insurance. Whereas insurance provides protection to you or your employees, a freight broker bond acts as a protection to those you do business with. This is why it’s important not to delay payments and understand state and federal legal requirements, so you don’t get a claim on your name. You are now ready to begin your online application to make sure you are compliant on time. If you have any questions, don’t hesitate to contact us. One of the hot topics last year was the implementation of the Unified Registration System which was supposed to roll out by January 2017. However, you may have heard that this not happened and, currently, the implementation of the URS is suspended indefinitely. The FMCSA has not abandoned the project but no date for its full implementation has been announced as of yet. This will not affect your freight broker bond renewal, however, so you can go ahead and start your application. On Apr. 6, 2018 the new Food Safety Rule came into effect, affecting small brokers, carriers and shippers participating in the transportation of food items. The rule has been in effect since 2017 for larger brokers, carriers, and shippers. Another important change that affects freight brokers is the new national hiring standard for motor carriers. Shippers, receivers, freight forwarders and brokers are adviced to learn more about it as they will need to comply with the standard when choosing a motor carrier for a job. 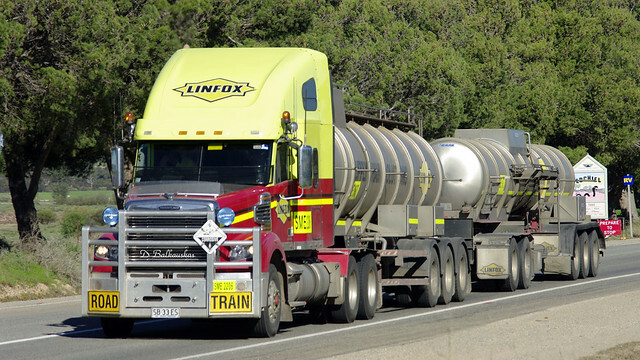 Not ready to renew your freight broker bond?